The DP World Tour Championship, Dubai, tees off on Thursday, as the conclusion of the Race to Dubai ends the European Tour season with its annual showpiece event. Now a decade old, the tournament in Dubai, United Arab Emirates, serves the dual purpose of providing a meaningful competitive conclusion to the European season and, ideally for the organizers, a winner who reflects the dominant story lines of the season. This year, they may get both. 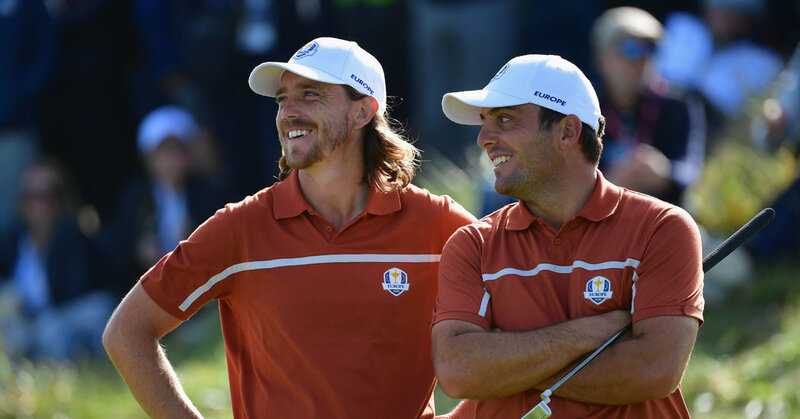 The two front-running golfers in the money-earning standings, Francesco Molinari and Tommy Fleetwood, have had a surge of success this year, amplified by performances at the Ryder Cup that created an unlikely double act that has since been called Moliwood. The man who claims to have coined that word, Nathan Homer, is the chief commercial and marketing officer for the European Tour. Before the Ryder Cup, he had a strategic plan to make the most of the additional audience the Ryder Cup always brings, but then everything changed. Molinari and Fleetwood were enjoying career years. Molinari won his first major at the British Open; Fleetwood came within a stroke of winning the United States Open in June. But seeing the longhaired, vivacious Fleetwood paired with the sober Molinari, a winning partnership that led to a runaway European victory in the Ryder Cup, was the kind of odd-couple narrative that Homer and his team knew they could use for the rest of the Race to Dubai — and beyond. Speaking by phone, Homer characterized the emerging dynamic between the players as a rare gift. For Homer’s team, the answer meant rapid improvisation. By the Sunday evening of the Ryder Cup victory, with the European party still raging, Fleetwood and Molinari had been spirited away to a hotel room to film a scene for social media showing them waking up in bed with the trophy. By the time they arrived at the British Masters less than two weeks later, spectators were grabbing photo opportunities beside a Moliwood sign. Molinari and Fleetwood were also paired on the course for the opening two rounds of the tournament, as the organizers and the two golfers leaned into the story line. As the Dubai event approaches, Homer is working with the tournament sponsors, the shipping company DP World, to produce a promotional event built around Moliwood and the sponsor’s ownership of the ship Queen Elizabeth II. Whatever form that takes, the frothy marketing stunts have a serious intent. Since Keith Pelley, a Canadian media executive, became chief executive of the European Tour in 2015, the organization has retooled for the social media era. When the organizers talk about the selling points of a tour that has historically been financially and culturally secondary to the dominant PGA Tour, they are as likely to invoke the character and social diversity of its global venues and players, as they are its competitive credibility. The popular success of Fleetwood and Molinari represents a rare intersection of both. And in a golf world where the PGA Tour represents the gold standard, Pelley and Homer know that legitimate claims for the European Tour’s viability as a stand-alone circuit needs sustained performances from its elite competitors. “It starts on the course,” Homer said. Historically, that’s been a tough sell. Despite the vastly improved prize money that the Rolex Series has provided to important events on the European Tour, the top European players still plan their seasons around the PGA Tour. Players have complained about the travel strain of trying to reconcile PGA and European Tour commitments, and Rory McIlroy suggested last year that a world tour could be created by having the PGA Tour buy the European Tour. Still, Homer is banking on Molinari to help provide another Moliwood narrative, which Homer and Pelley hope will give the European Tour a boost, this time by pitting Europe’s leading Ryder Cup players against each other.